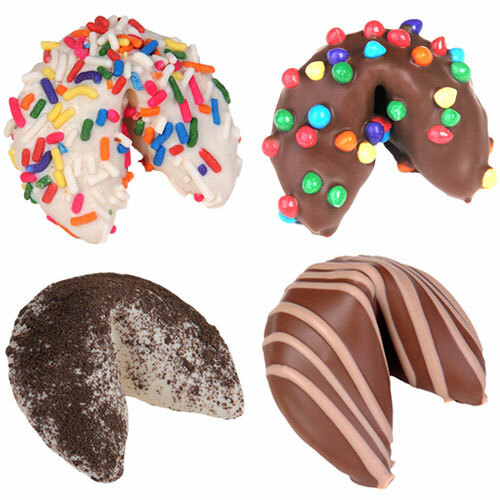 For every 20 cases of Chocolate Covered Fortune Cookies, get one free! Inside every carrier is a promo code which may be used to enter for a chance to win a $25 gift card to Subway, Best Buy, iTunes, Target, or Starbucks! The more carriers you buy, the greater your chances are to win! • Starting at 40% PROFIT! • Up to 50% PROFIT! • Only a ONE CASE Minimum order. • As always, we will give you FREE SHIPPING anywhere in the continental U.S.A. in 2-5 business days. There are 240 Chocolate Covered Fortune Cookies in each case. 1. Sell each Chocolate Covered Fortune Cookie for $1.00. 2. Each case will sell for a total of $240.00. 3. 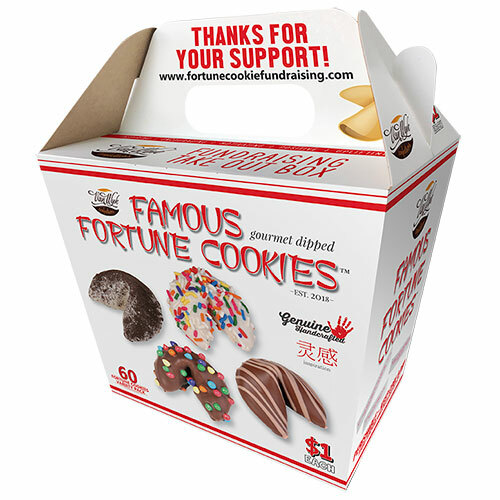 Your price for one case of Chocolate Covered Fortune Cookie is only $144.00. 4. You make $96.00 per case. That's 40% PROFIT!